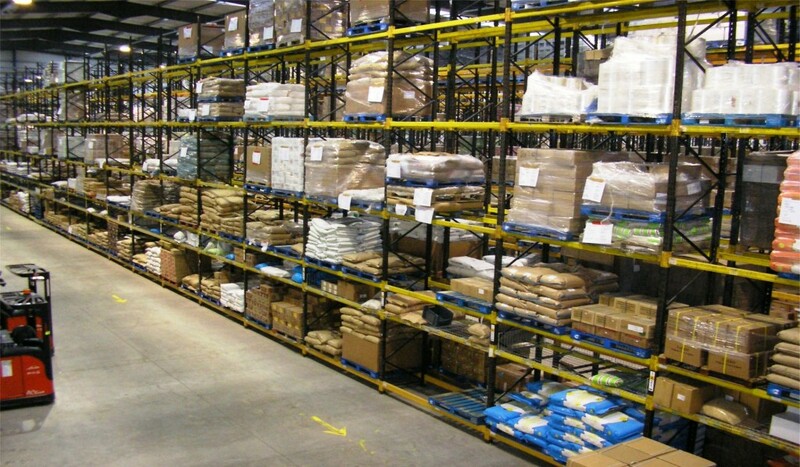 Pallet racking makes for the perfect commercial racking solution. 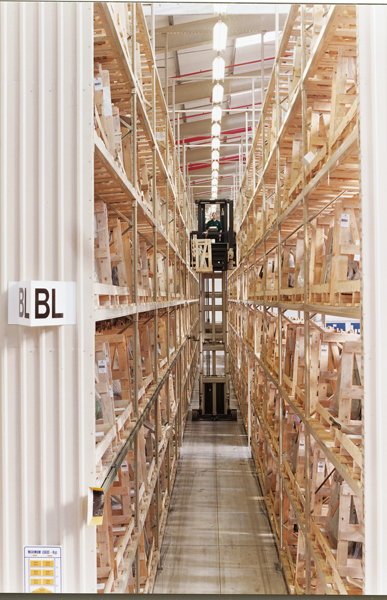 At Bradfields we supply an extensive range of warehouse racking solutions by way of pallet racking systems. Each pallet can be easily accessed via an adjustable beam, ensuring safe and convenient access to each of the pallet racks. We are suppliers of pallet racking systems across the UK in a wide range of sizes, all of which can be easily suited to the weight borne by each pallet. This is ideal if you are likely to be storing pallets of varying sizes and weights in your warehouse. Each pallet racking system is also available with a number of accessories that can be easily added to meet your unique requirements. Whatever the size of the pallet racking system that you’re after, you can be assured that you’ll pay the lowest prices here at Bradfields, and always receive the best service. By allowing fork lift trucks to operate in aisles up to half the width required in conventional adjustable beam pallet racking, Narrow Aisle racking makes excellent use of floor space and maximise the height at which goods can be stacked. Pick and Deposit (P&D) stations can be fitted at the end of aisles, allowing controlled, efficient and safe load handling into and out of narrow aisle structures. Double Deep pallet racks can be stacked two deep, though both pallets are still accessible from the same aisle. This is a great space-saving solution, as it reduces the number of access aisles needed, and in turn allows the space saved to accommodate extra racking. These types of pallet racking systems can help you to keep an efficient warehouse by maximising the number of goods that can be stored. 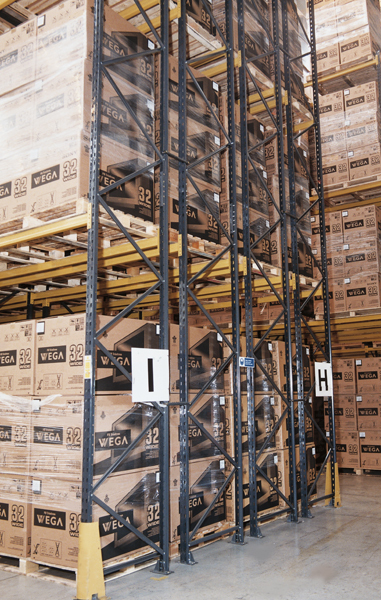 Using Drive In pallet racking creates optimum space utilisation without the need for specialist handling equipment. This is the perfect warehouse racking solution if you have a small warehouse with minimal space, or a greater number of pallets to store. Access can be from one end (the true ‘drive-in’ configuration) or from both ends (‘drive-through, for improved stock rotation). Pallets are stored on guide rails in the depths of the racking and fork lift trucks enter these ‘storage lanes’ to deposit or retrieve loads. Using Pallet Live racking systems minimises the need for fork lift trucks in warehouses as the pallets are stored onto a set of rollers. This means that when one pallet is removed from the racks, another can roll smoothly into its place. This reduces the amount of fork lift use as the system is automatic, and it can allow a greater number of pallets to be stored in any given space. Carton flow operates under a similar system as pallet live, but is specially designed to suit goods which need to be hand-loaded and picked. These types of pallet racking systems reduce the possibility of any errors occurring and speed up order picking, saving time and money. Carton flow systems can also be easily managed, with stock levels being easily maintained. The push back pallet racking system is one of the most effective time and space saving storage solutions available from warehouse racking suppliers. In order to use the full depth of the racks to store the pallets, they are loaded onto wheeled carriers which are then pushed back along inclined steel channels. This allows as many as four pallets to be stored together at any one time, and whenever a pallet is removed, the remaining three move forward to the picking face. At Bradfields we specialise in industrial warehouse racking solutions and will ensure that you find the pallet racking system that meets your storage requirements.